Come to The Hivery and join us to create love and beauty for the students at The Marjory Stoneman Douglas High School in Parkland. The Principal is asking for colorful posters and banners to line every inch of their hallways. Let’s do our part. You do not need to be an artist to participate. 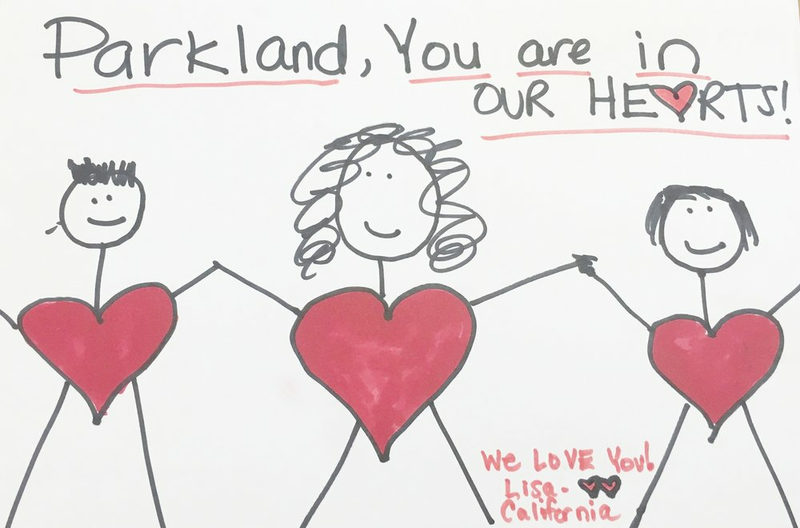 Hivery Member Lisa Rueff, Founder of Collective Hearts and Sparked, will be departing for Parkland on Tuesday morning, and heartfully hand delivering our posters and artwork on Wednesday. And, over the weekend, if you would like to include your kids and make art, please do! The more posters and artwork we create, the better. Lisa is happy to transport and deliver your posters so feel free to drop them off at The Hivery on Monday, February 26 before 5:00pm. The Hivery will provide the posters and art supplies. Free for members and non-members. All are welcome! Lisa loves the opportunity to bring people together in heartfelt ways and inspire others to follow their unique passions, dreams, and bliss. That we each have our own unique ability to make a difference in the world, and anything is possible.